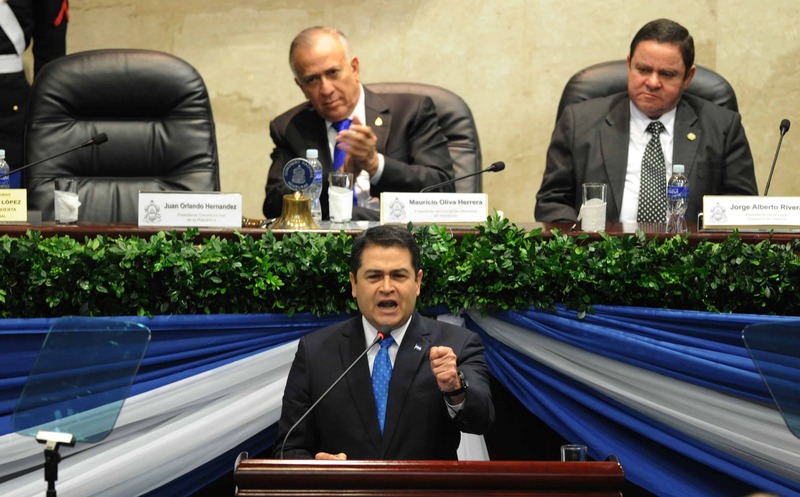 TEGUCIGALPA, Honduras – Honduras has sharply reduced its homicide rate, one of the world’s worst, from 86 to 66 per 100,000 people, President Juan Orlando Hernández said Sunday. “We have started to defeat organized crime and drug traffickers who were trying to take control of our nation,” Hernández told lawmakers. “Yet there is still a great deal to be done” against the illegal drug trade and violent crime caused by gang members, he said. The president also defended the creation of the controversial Public Safety Military Police. It has 3,000 members and operates in 16 of Honduras’s 18 departments. Hernández wants to make it a permanent security force. Opposition members have charged that Hernández has built a personal police force to support him in an effort to seek reelection, which is not allowed in Honduras. Seventy percent of Honduras’s 8.6 million people live in poverty.